Roll up! Roll up! Celebrate the 150th birthday of Bristol’s best loved landmark! 8 actor musicians, 4 circus performers, a band and a choir telling—and singing—the stories and secrets of Brunel’s glorious Clifton Suspension Bridge. And it’s happening in another Brunel masterpiece: The Passenger Shed. Meet the young Brunel with his audacious plans to hang a bridge across the gorge; the men who ‘walked the chains’ to keep it working; the girl saved from suicide by her billowing skirts. Writer ACH Smith’s musical play about Bristol Docks, ‘Up the Feeder Down the ‘Mouth’ was “Remarkable…. rollicking… spectacular… theatre that matters” (Guardian). 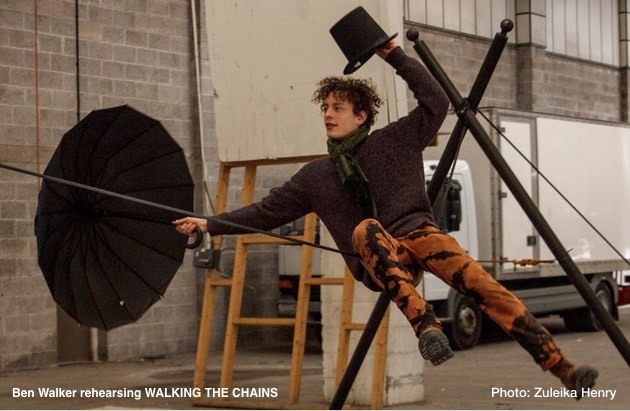 WALKING THE CHAINS is produced, directed & designed by the team behind the much praised Trade It? “An exhilarating odyssey” (Guardian). Rehearsals are now under way and it’s looking very good.